Course cover a range of topics within microbiology and genetics. In all lab courses, students are trained to use both classic and cutting edge techniques, and in upper college laboratory courses, students are able to design and execute independent laboratory experiments that help prepare them for the senior project experience. All courses are writing intensive and focus on the understanding of the primary literature. Professor Jude and the members of the Jude lab and classes are involved in community outreach projects in the local community and school districts. This opportunities include, but aren't limited to science visits from local middle schools, collection of water samples by community members, and participation in microbial fuel cell workshops. 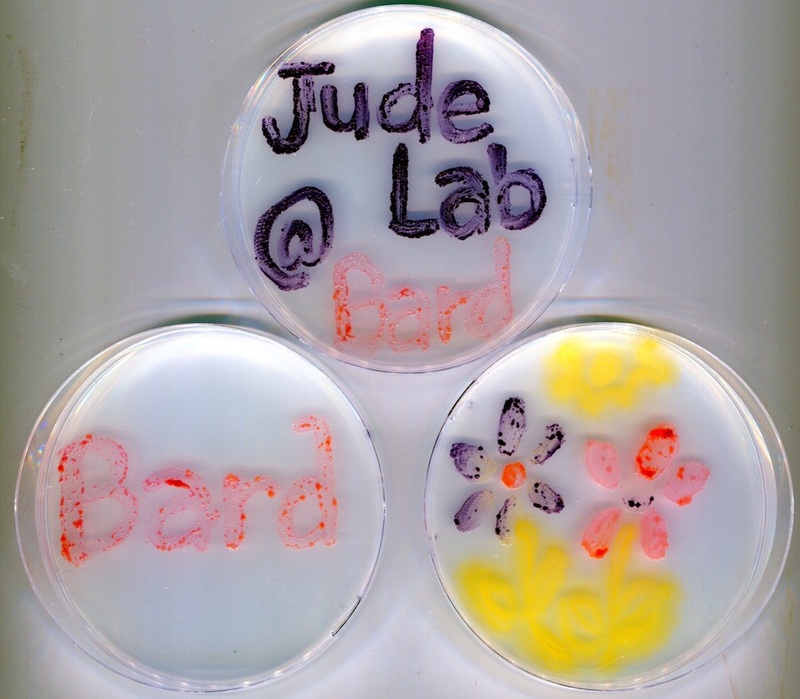 In the Jude Lab, research is conducted on local aquatic bacteria strains. These projects have components of field biology as well as microbial physiology and genetics. Students in the lab have the opportunity to collaborate in research teams in which projects are connected in topic and microorganism. Students have the opportunity to do research during the academic year, as part of course work, in the Bard Summer Research Institute (BSRI), and during the senior project experience.